Available in English for the first time, this short book is a powerful introduction to the spiritual wisdom of one of the Church’s newest saints: Elizabeth of the Trinity. 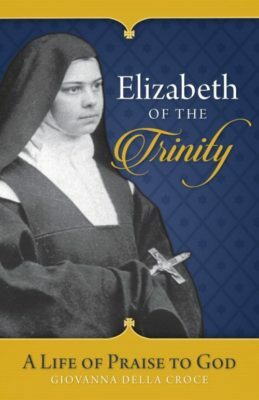 There was nothing extraordinary in Elizabeth of the Trinity’s life. There were no ecstasies. She didn’t work miracles. She didn’t communicate heavenly messages through visions or words she heard. Instead, she presented a message to modern man through her own life of fidelity, showing us that the true road to contemplative prayer is not an ascent to grasp God, but a descent into the depths of one’s heart. She teaches us that only by drawing our souls inwardly can we move toward bold abandonment and achieve immersion in God, thereby connecting our spiritual lives to the eternal praise of the saints in heaven. In our noisy culture, Elizabeth of the Trinity reminds us of God’s power to establish in us a profound and peaceful stillness. She reminds us that that the Trinity is our home, and that God has created us in order to be united to Christ. In these pages, Sister Giovanna della Croce presents a brief and readable introduction to the teachings of Elizabeth of the Trinity, showing us the truth path to contemplative prayer. St. John Paul II considered Elizabeth of the Trinity to be one of the most influential mystics in his spiritual life. Now you, too, can begin incorporating in your own spiritual life the mystical wisdom of Elizabeth of the Trinity.